But Nag Mahashay humbly said: If a man has true devotion, Mother Ganga reveals herself in his house. It is needless for him to go any place'. On the day of Ardhodaya Yoga, several of Nag Mahashay's devotees came to visit him. Suddenly one of the women noticed a stream of water gushing out of the southeast corner of the courtyard. The devotees gathered around it in amazement and watched as it formed a flowing stream. Nag Mahashay was in his room when he heard the excitement of the devotees. He came out and, seeing the stream, bowed down to it reverently. Then, sprinkling a little water on his head, he prayed: 'Victory to Mother Ganga! Mother, purify us'. Word of the mysterious water spread throughout the village, and on that auspicious day devotees and villagers alike were blessed by bathing in that miraculous stream. Hearing of this episode some time later, Swami Vivekananda commented: 'The wish of a great soul like Nag Mahashay can make the impossible possible. Their infallible will power can even liberate people'. Nag Mahashay did not wear the ochre cloth of a monk, but he was true a yogi. To him all women were the veritable manifestation of the Divine Mother. 'I have never touched a woman in my life, so I have nothing to do with this world', he said to his father when the latter scolded him about his unmindfulness of the household. His purity was almost tangible. Desire for progeny, wealth, and name and fame simply could not appear in his mind. But as he himself observed: 'A man can overcome the temptation of gold and diamonds through renunciation, but he needs the grace of God to overcome lust. Where there is lust, there God is not; and where God is, therefore cannot be lust. As long as your body is not burned into ashes, do not be proud of your chastity. No one can escape Maya unless the Divine Mother allows one to pass'. Without having taken any monastic vows, he was a true monk. Once Girish Chandra Ghosh presented a Nag Mahashay with a blanket, even though he knew he did not accept gifts. Out of his deep respect for Girish, Nag Mahashay accepted the blanket by putting it on his head and went home. Later a devotee went to visit him and found him seated with the blanket on his head. Hearing of this, Girish found a tactful way of taking it back so that Nag Mahashay might not suffer any further discomfort. Although this type of behaviour seems very strange to ordinary people, it is called in devotional scriptures urjhita bhakti, or exuberant devotion. When this type of devotion awakens in the heart of an aspirant his behaviour becomes erratic. For no outwardly discernable reason he may smile, cry, dance, sing, or even remain motionless like a log. The least remainder of the beloved puts him into ecstasy. The last few days Nag Mahashay was in samadhi off and on. Because Sri Ramakrishna had asked him to stay at home and live the life of a householder, he had never gone on a pilgrimage to the holy places, although he had once gone to Gaya to perform to the last rites for his father. Two days before he passed away, at 2' clock in the morning, he said to Sharat Babu: 'Sri Ramakrishna has come here to show me the holy places. Please tell me the names of holy places you have seen, and I will visit them one after another'. As Sharat Babu mentioned the name of each place-Hardwar, Prayag, Varanasi and Puri- Nag Mahashay immediately had a vision of it and vividly described what he was seeing. Sharat Babu knew he was witnessing the blessing of Sri Ramakrishna upon his disciple, yet, seeing Nag Mahashay pain and suffering, he could not help thinking that god was a cruel Master. But Nag Mahashay read his mind and said: 'please, never doubt the boundless mercy of God. What good will this body be to the world? Look, I am bedridden; I cannot serve you, so Sri Ramakrishna, out of compassion, is taking away this body'. Then he said in a feeble voice, 'Let the body and its suffering know each other; O my mind, you be happy'. On December 27, 1989, the auspicious time of his final departure came. Nag Mahashay was in bhava samadhi. Sharat Babu began to chant the name of Sri Ramakrishna in his ear and, placing the picture of the Master in front of him, and said 'This is the picture of your Master, in whose name you have renounced everything'. Nag Mahashay opened his eyes and saw the face of his beloved Master. With folded hands he saluted him and murmured, 'Grace, grace-you blessed me out of your boundless mercy'. He then slowly merged into mahasamadhi. Came across this thought provoking story, source, unknown. there was once a woman who was very pious and wise and very religious and spiritual. she knew that it was a sin to harm any one and she was very conscious of every act of hers. one day while she was sweeping the floor, her broom fell on an insect and killed it. this woman went mad with grief and ran around the streets of the town crying terribly, saying -oh my god, i have killed a creature today, oh my god i have killed a creature today..
there was an unlettered fisher woman selling fish in the market. she was watching this woman's agitation for a long time and then at one point could not take it any more. she called her and said - lady, listen to me ..... i kill fish for my living every day .... killing one more insect is not going to add to my sins. so i will take that sin off you right now. you please do not worry and go and rest in peace. this woman happily gave her the dead insect and went away. after praying, she fell asleep with a very clear heart. years later, both of them died on the same day. the 'pious' womn was being taken to hell when she saw that the fisher woman was being led to heaven. thinking there was some confusion, she tried calrifying who she was and who the other woman was. the god of justice said - oh woman, you presumed yourself so well read, wise and pious .. yet you were willing to do anything to cheat yourself and believe that u had not sinned ... wheras the other woman was killing fish as part of her duty ... she took such pity on you that she was willing to increase her sin and take it off you so that you could have peace of mind ..
what use is your 'piety' and 'wisdom' in front of that? Very interesting story,dear Sri Nagaraj. Well,it seems that is much important our very heart,and the motive behind every act. 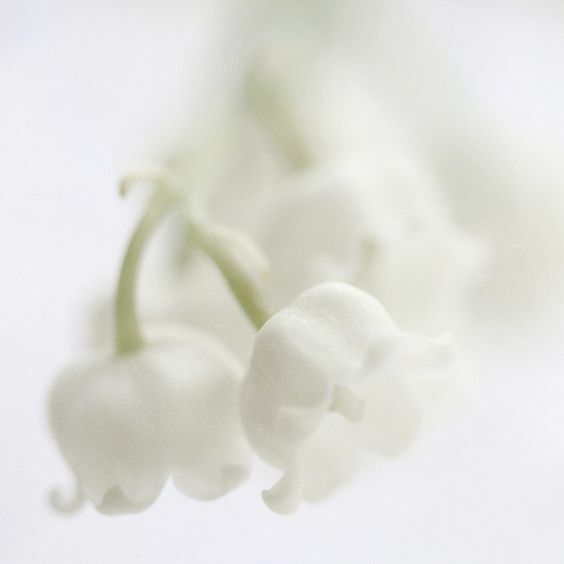 Second woman showed compassion and simplicity,which reflect purity of the heart. The first one was doing everything for some wrong reasons,i think selfish. My interpretation can be wrong,thatsts the way i see this story. Yes, its a beautiful story that makes us ponder. Its like a flash, ligjtning, God being present at.all timed and who is a witnesd to everything. Vaisampayana said: Thy heart is a witness to the truth or falsehood. He who being one thing represents himself as another thing to others, is like a thief and a robber of his own self. Of what sin is he not capable? Thou thinkest that thou alone hast knowledge of thy deed. But knowest thou not that the Ancient, Omniscient one (Narayana) liveth in thy heart? He knoweth all thy sins, and thou sinnest in His presence. He that sins thinks that none observes him. But he is observed by the gods and by Him also who is in every heart. Yes,God Is Everywhere,and God sees Everything,,dear Sri Nagaraj. And He sees something which anyone else cant see,our very heart. And we are Eternaly Greateful for that. Our only sinn is our ignorance! Indeed,there can be no greater sinn than that! The story of Layla and Majnun is one of the most popular in the Islamic world, enduring in legends, tales, poems, songs, and epics from the Caucasus to Africa and from the Atlantic to the Indian Ocean. Scholars find good reasons to believe that the central character -- Qays, nicknamed Majnun (Madman) -- lived in northern Arabia in the second half of the seventh century, five hundred years before the poet Nizami. At the behest of the Transcaucasian chieftain Shervanshah, Nizami collected many of the widely dispersed traditional versions and wove them into his great narrative poem. The story begins with the Sayyid, a man of wealth, power, and prestige, desiring a son and heir. He importunes Allah, who grants his request. The beauty of his son Qays "grew to perfection. As a ray of light penetrates the water, so the jewel of love shone through the veil of his body." At the age of ten, Qays goes to school and meets his kismet/fate, Layla. "Does not 'Layl' mean 'night' in Arabic? And dark as the night was the color of her hair." Love struck them both; others noticed, tongues wagged, and Qays first tastes bitterness. He refrains from seeing her, but his heart breaks and he begins to slip into melancholy. Layla's tribe, to protect her (and their) honor, deny her right to see him, and he falls into madness: "A madman he became -- but at the same time a poet, the harp of his love and of his pain." An old man, Zayd, helps Layla and Majnun to exchange letters and finally to meet, though she cannot approach him closer than ten paces. Majnun spontaneously recites love poetry to her, and at dawn they go their separate ways. Bulleh Shah was born in Syed family. Thus he was descendant of Prophet Mohammed. Bulleh Shah was well versed in many scriptures but what ever he knew from scriptures was not his personal experience. So Bulleh Shah was searching for a Guru. And when ever a seeker is ready, Guru appears. This is the rule of existence. He had a deep desire to meet his Guru who can take him to other shore. He was doing many spiritual practices even before meeting guru and had some spiritual powers also. But his heart was not satisfied. His thirst for God was very deep and only real experience could have satisfied it. One day he heard about one man Inayat Shah who had attained the Ultimate. Bulleh Shah belonged to a very rich family but this man was from very low caste family land. He was a Gardener. When Bulleh Shah first time went to meet Inayat Shah, he was Planting an Onion crop. Inayat Shah's back was towards him. Now he didnâ€™t had the courage to call the attention of Inayat Shah. Bulleh Shah saw there are many mango trees in front of Inayat Shah. He closed his eyes and remembered Allah for a minute. Mangoes started falling from the tree. When mangoes started falling Inayat Shah looked at falling mangoes and saw one man standing behind him. Bulleh said â€œI am searching for Godâ€� and he fell at Inayat Shah feet. He looked towards Inayat Shah. And the way Inayat Shah looked at him. 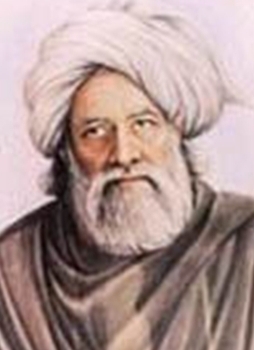 Seeing so much compassion and love in Inayat Shah eyes Bulleh shah fell in deep love with him. Sahajo is one lady in whole spiritual history who has sang lot of songs in praise of Guru. But Bulleh Shah's love for his Guru was exceptional. Bulleh Shah's eyes were always thirsty for his Guru's Vision. His Love for his Guru was so intense that once his guru became angry with Bulleh Shah and asked him to leave his house immediately. Now Bulleh Shah can was in terrible agony. Day and night he was thinking how to please his Guru. From some where he came to know that his guru loves dance. Just to please his Guru, Bulleh Shah learned dance from prostitutes and became a dancing Girl. Such was the intensity of his love for his Guru. : One great philosopher, Maulingaputta, came to Buddha, and he started asking questions... questions after questions. Must have been an incarnation of Patrick! Buddha listened silently for half an hour. Maulingaputta started feeling a little embarrassed because he was not answering, he was simply sitting there smiling, as if nothing had happened, and he had asked such important questions, such significant questions. Finally Buddha said, "Do you really want to know the answer?" Maulingaputta said, "Otherwise why should I have come to you? I have traveled at least one thousand miles to see you." And remember, in those days, one thousand miles was really one thousand miles! It was not hopping in a plane and reaching within minutes or within hours. One thousand miles was one thousand miles. It was with great longing, with great hope that he had come. He was tired, weary from the journey, and he must have followed Buddha because Buddha himself was traveling continuously. He must have reached one place and people said, "Yes, he was here three months ago. He has gone to the north" -- so he must have traveled north. Slowly slowly, he was coming closer and closer and then the day came, the great day, when people said, "Just yesterday morning he left; he must have reached only the next village. If you rush, if you run, you may be able to catch him." And then one day he caught up with him, and he was so joyous he forgot all his arduous journey and he started asking all the questions he had planned all the way along, and Buddha smiled and sat there and asked, "Do you really want to have the answer?" Maulingaputta said, "Then why have I traveled so long? It has been a long suffering -- it seems I have been traveling my whole life, and you are asking, 'Do you really want the answer?'" Buddha said, "I am asking again: Do you really want the answer? Say yes or no, because much will depend on it." Then Buddha said, "For two years sit silently by my side -- no asking, no questions, no talking. Just sit silently by my side for two years. And after two years you can ask whatsoever you want to ask, and I promise you I will answer it." A disciple, a great disciple of Buddha, Manjushree, who was sitting underneath another tree, started laughing so loudly, started almost rolling on the ground. Maulingaputta said, "What has happened to this man? Out of the blue, you are talking to me, you have not said a single word to him, nobody has said anything to him -- is he telling jokes to himself?" Buddha said, "You go and ask him." He asked Manjushree. Manjushree said, "Sir, if you really want to ask the question, ask right now -- this is his way of deceiving people. He deceived me. I used to be a foolish philosopher just like you. His answer was the same when I came; you have traveled one thousand miles, I had traveled two thousand." Manjushree certainly was a great philosopher, more well-known in the country. He had thousands of disciples. When he had come he had come with one thousand disciples -- a great philosopher coming with his following. "And Buddha said, 'Sit silently for two years.' And I sat silently for two years, but then I could not ask a single question. Those days of silence...slowly slowly, all questions withered away. And one thing I will tell you: he keeps his promise, he is a man of his word. After exactly two years -- I had completely forgotten, lost track of time, because who bothers to remember? As silence deepened I lost track of all time. "So, Maulingaputta, that's why I started laughing, because now he is playing the same trick again. And this poor Maulingaputta will sit for two years silently and will be lost forever, will never be able to ask a single question. So I insist, Maulingaputta, if you really want to ask, ASK NOW!" Note: Maulingaputta accepted Buddha's condition and realized the Buddha Nature. One day the Zen monk Rinzai is speaking in a temple. He has gone into a sermon, but someone is disturbing him there. So Rinzai stops and asks, "What is the matter?" The man stands up and says, "What is soul?" Rinzai takes his staff and asks the people to give him way. The man begins to tremble. He never expected that such will be the answer. Rinzai comes to him, takes hold of his neck with both hands and presses it. The man's eyes bulge out. He goes on pressing and asks, "Who are you? Close your eyes!" The man closes his eyes. Rinzai goes on asking, "Who are you?" The man opens his eyes and laughs and bows down. He says, "I know you have really answered what is soul." Such a simple device! But the man was ready. Someone asks Rinzai, "Would you do the same thing when anybody asks?" He says, "That man was ready. He was not just asking for the question's sake, he was ready. The first part was fulfilled; he was really asking. This was a life and death question to him: `What is soul?' The first part was fulfilled completely. He was disillusioned completely of life, and he was asking, `What is soul?' This life has proved just a death to him; now he is asking, `What is life?' So no answer from me would have been meaningful. I helped him to just stand still in the present." Of course, when someone presses your neck just on the verge of killing you, you cannot be in the future, you cannot be in the past. You will be here and now. It is dangerous to miss the moment. If you just say to such a man, "Go deep and know who you are," the man becomes transformed. He goes into samadhi; he stands still in the moment. If you are in the present, even for a single moment, you have known, you have encountered, and you will never be able to lose the track again. Spiritual feeling is to know what is -- what is all this. Not that, this. What is all this -- this me speaking, this you hearing, this whole? What is this? Just stand, be deep in this. Let it open to you, and let yourself open to it. Then there is a meeting. That meeting is the seeking. That meeting is the whole search. That is why we have called it yoga. Yoga means meeting. The very word yoga means meeting -- joining again, becoming one once more. But so-called spiritual seekers are not seeking any spirituality. They are only projecting their desires in a new dimension. And no desire can be projected in this spiritual dimension, because this spiritual dimension is only open to those who are not desiring. So those who desire go on creating new illusions, new dreams. There was a king named Jayamal who worshipped Lord Krishna with all his heart. Even a small doubt from Mind creates barrier between the Lord and Devotee. Only the Heart can converse with the divine. The Heart that is purified by fire and tears in separation of beloved, ultimately merges with the Beloved. Jayamal used to worship Lord Krishna with complete dedication under the name Syamalasundra (Syamala means Black and Sundra means beautiful). He never felt the need to worship any other deity. As a rule he used to worship his deity till mid-day and he never bothered about any thing else during his worship. When a devotee is really worshipping its deity from heart then nothing else can bother the devotee. The bliss experienced during that time is indescribable. The neighboring king came to know of this secret and he attacked Jayamal in the early hours of day. Jayamal's soldiers were waiting for their master response. But Jayamal felt â€œthis kingdom was given to me by my lord and if he has decided to take it away then what can I do and none will be able to harm me if he protects meâ€�. The Real devotee becomes a child and put all its faith on the deity and when it happens then the deity takes charge of the devotee's life, as Sri Ramakrishna did for Girish. In the mean time Syamalasundra, the deity himself, had taken the kingâ€™s horse and alone destroyed the enemies. After the worship was over, King Jayamal came out and saw his horse panting and covered with sweat and when King Jayamal went to battle field with his army he saw the whole army of enemy is destroyed except the king. Enemy king told Jayamal about the Blue warrior who destroyed his whole army and he is no longer interested in his wealth but he wants to know about the Blue warrior who has cast a spell on his heart and soul. Both the kings understood that it was Jayamal's deity who had fought the battle on his behalf. 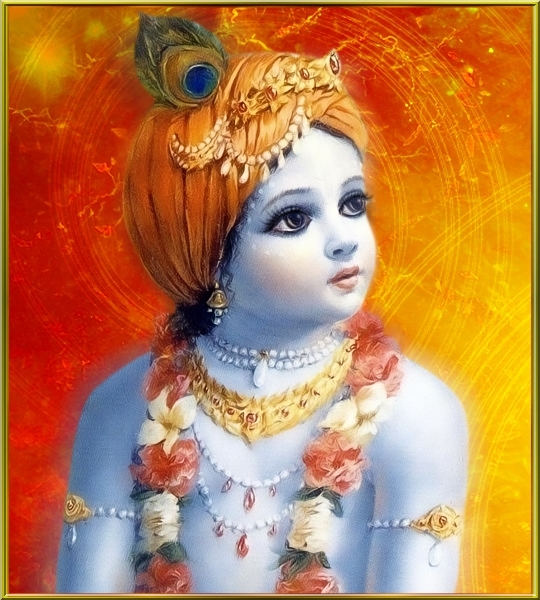 The Enemy king worshipped Jayamal and through his blessings received Lord Krishnaâ€™s grace. Note: In the book â€œLiving with Himalayan Mastersâ€� I have read one story similar to this in which Sage protects the devotee. And Junaid said â€™Now, see.â€™ He took out his scissors and cut the rope â€“ and the cow escaped. The man ran after the cow, and Junaid said â€™Now look what is happening! Now you see who is the master; the cow is not interested at all in this man â€“ in fact, she is escaping.â€™ And the man was very angry, he said â€™What kind of experiment is this ?â€™ But Junaid said to his disciples â€™And this is the case with your mind. People come to me and ask â€™How to stop this mad mind?â€™ I say â€™There is no need to stop, all that is needed is that you become disinterested in it and the rope is cut.â€™ That is the meaning of sannyas: become disinterested in the mind. That is the meaning of real vairagya, detachment. It has nothing to do with renouncing the world, but it certainly has something to do with cutting the rope to the mind. Just become disinterested in the rubbish and slowly slowly you will see a gap arising. The cloud that used to surround you always is getting farther and farther away and, one day, suddenly it is no more there. And when you are left without mind, that is the state of spiritual perception, that is the state of darshan, that is the state when you can see, you have eyes; otherwise your eyes are so full of smoke you cannot see. But when they reached the field, they understood that they were wrong and he was right. The farmer seemed to be almost an insane man. He was digging a well in the field â€“ and he had already dug eight incomplete wells. He would go a few feet and then he would find that there was no water. Then he would start digging another well... and the same story was continued. He had destroyed the whole field and he had not yet found water. The master, Jalaluddin Rumi, told his disciples, â€œCan you understand something? If this man had been total and had put his whole energy into only one well, he would have reached to the deepest sources of water long ago. water, dig one well deeper and deeper and you will get plenty of water. Yes,it is great story. I love it. It is about preservance,persistence,dedication,devotion,and faith. Nothing can be archieved without it,in whatever field. They refused saying â€œwe three have an agreement between us. Only one of us can go inside the houseâ€�. The woman was surprised to hear their reply and asked about the reason. They replied â€œWe three are wealth, success and love. You can invite any one among usâ€�.